In the archive of FUJIFILM Archive Services, your data is saved in an innovative, format-neutral state. This means that data can be recalled from the archive very simply, even after prolonged storage. An individual online web portal is provided to enable administration of individual data stocks. The web portal can be used to check data stocks (review of metadata), also to request a data recall or to request deletion of data. Predefined access rights of different users are monitored by a password-protected authorisation structure. The requested data can be made prepared for retrieval via a secure data link or transferred to any desired backup format and made available on any desired medium within the agreed delivery time. 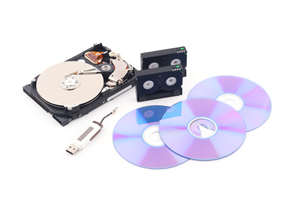 The choice of output medium (USB stick, CD, DVD, BR, tape) depends on the volume and the agreed availability time, and is specified individually. Availability for download via ESFTP is limited to 100 GB/call. Upon request, entire program and system environments can be requested as a special service. In this case, our specialists will be glad to advise and assist you in reintegrating the archive data in your company. 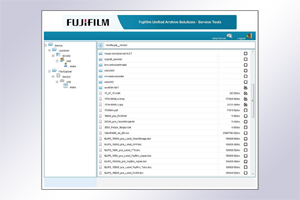 FUJIFILM Archive Services – simple, convenient data recall as necessary.